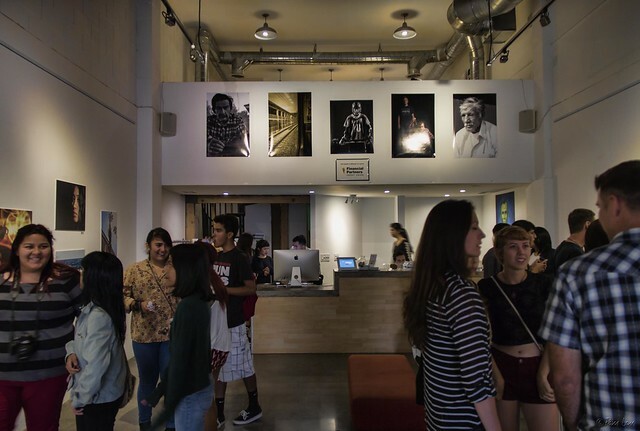 Friday night was the opening night of the 3rd Annual Downey & Warren Photography Exhibition at the Stay Gallery. There was quite a crowd there, mostly young people, when I stopped by just after the exhibit opened. 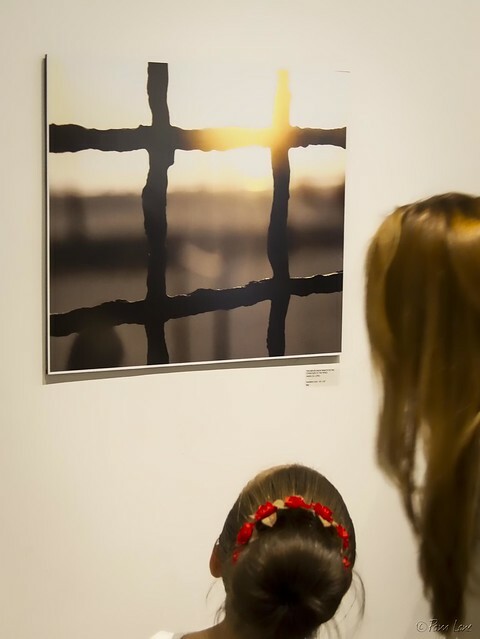 This mom and daughter closely examined each photograph. I think there were some lessons going on there. I hope she's a budding photographer! Tomorrow I'll show you my favorites.